More than 1.4 million Canadians have heart disease. It is also one of the leading causes of death in Canada, claiming more than 33,600 lives per year. 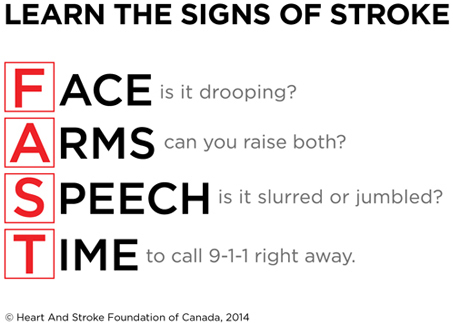 In Canada, every seven minutes, someone dies from heart disease or stroke. In 2013, 6.0% of Newfoundland and Labrador residents participating in the Canadian Community Helath Survey reported having heart disease. Chest discomfort: Uncomfortable chest pressure, squeezing, fullness or pain or heaviness. Discomfort in other areas: Neck, jaw, shoulder, arms, back. Cardiovascular disease is a leading cause of death for Canadian men and women, so it is important to understand how to prevent them. The more risk factors you have, the greater your risk. According to the Government of Canada, nine in 10 Canadians over the age of 20 have at least one risk factor for heart disease. Four in 10 have three or more risk factors. There are many factors that increase the risk of heart disease. Some of these factors can be controlled, others cannot. Western Health utilizes a population health approach which focuses on the health influencing factors that exist within and outside of individuals. These may occur both within and between groups of individuals, including families, neighbourhoods, communities or geographic regions. A medical imaging technique used to visualize the inside, or lumen, of blood vessels and organs of the body, with particular interest in the arteries and veins. This is traditionally done by injecting a radio-opaque contrast agent into the blood vessel and imaging using X-ray based techniques such as fluoroscopy. This test uses X-rays and multi detectors to create a detailed cross sectional image of the cardiac vessels, valves and chambers. A specialized type of Echo, done in conjunction with the EKG Department and a Cardiologist, where the drug Dobutamine is used to stress the heart. Standardized images are captured while the drug is given to evaluate the heart function. A test that uses sound waves to take pictures of the heart as it beats. The technologist uses a small probe and moves it slowly over the chest. The recording of the electrical activity of the heart. An EKG can help diagnose heart attacks that are in progress or have happened in the past and can be used to look for patterns among heartbeats and rhythms to diagnose various heart conditions. This is available at Western Memorial Regional Hospital. The procedure involves the placement of an expandable stent graft within the aorta to treat aortic disease without operating directly on the aorta. A Holter monitor (a small, wearable device that keeps track of heart rhythm) is worn for one to two days while the device records heartbeats. This is used to determine if a client has a heart rhythm problem. The loop recorder is a pager-sized non-invasive monitoring device used to record the heart's rhythm. It is worn for 14 days while a client carries out usual daily activities. Two electrodes are worn on the chest and wires attach the electrodes to a monitor. When a client feels cardiac symptoms such as an irregular heartbeat, they press a record button and the loop monitor records and stores the cardiac event, thus capturing cardiovascular abnormalities. Uses a magnetic field in conjunction with radio frequency waves (sound waves) that when sent into the body creates a second radiofrequency wave that is emitted from the body. A system of receivers use the signal emitted to create an image on the computer. A multigated acquisition scan (also called a blood pool scan) is a non-invasive diagnostic test used to evaluate the pumping function of the ventricles (lower chambers of the heart). During the test, a small amount of radioactive tracer is injected into a vein. A special camera, called a gamma camera, detects the radiation released by the tracer to produce computer-generated movie images of the beating heart. A test performed to determine the adequacy of blood flow to the muscles of the heart and identify any of the main blood vessels (arteries) in the heart which may be blocked (more specifically, which areas of the heart may be affected by the blockage(s). Studies use radio-isotopes and radiation detectors for diagnosis and treatment of disease, including cardiac studies. Ex: Myocardial Perfusion Imaging (MIBI scans) - a test performed to determine the adequacy of blood flow to the muscles of the heart and identify any of the main blood vessels (arteries) in the heart which may be blocked (more specifically, which areas of the heart may be affected by the blockage(s). A pacemaker is a small device that is placed under the skin near the heart to help control heartbeat. Also called an exercise stress test, gathers information about how the heart works during physical activity. An exercise stress test usually involves walking on a treadmill or riding a stationary bike while heart rhythm, blood pressure and breathing are monitored. This is a specialized type of Echo done by a Cardiologist. A flexible ultrasound probe is positioned in the patient’s esophagus. An Echo from this perspective provides a clearer picture of the heart valves and chambers. Uses sound waves that are directed into the body. If you are admitted to a hospital or health centre within the Western Region for reasons related to a heart condition, you may be referred to the Cardiac Rehabilitation Program. The Cardiac Rehabilitation Program will help you learn about your heart condition and prepare you to manage at home. While you are in hospital, your health care team will provide you with information and assist you in resuming your daily activities. • The type of heart condition you have, risk factors and ways to manage your risk factors. • What medications have been ordered for you and why they are needed. • Which activities you can safely participate in while you are in hospital and when you go home. • Ways you can improve your diet. • Stress-related factors in your life that may be related to heart disease and how to manage them. • What types of support are available for you and your family, including community supports and resources. The goal of the program is to help you learn about your heart condition and to assist you in managing and maintaining a healthy, active lifestyle once you are discharged home. The program will also provide you and your family an opportunity to ask questions and to discuss any concerns you may have. When you are ready to go home, the nurse who prepares you for discharge will send a referral to the Community Health Nurse. This Nurse will contact you at home by phone for a follow-up visit. During the follow-up visit, you will have an opportunity to discuss how well you are doing after your hospital stay and any questions or concerns you may have. Like other Health Authorities in Newfoundland and Labrador, Western Health has linkages with Eastern Health, which is the provincial referral centre for more specialized, cardiology/cardiac surgery services. The Cardiac Care Program at Eastern Health encompasses a full spectrum of cardiac care including invasive cardiac diagnostic/interventional procedures, cardiac surgery and cardiac rehabilitation. For more information about Eastern Health programs and services, visit www.easternhealth.ca. Cardiovascular diseases and related risk factors are prevalent in the Western Region of Newfoundland and Labrador. The Improving Health: My Way program is a six session self-management program which is offered free of charge in communities throughout the province for people living with any chronic condition. This program can provide people with the skills that they need to reduce some of the preventable risk factors for heart disease and stroke. Participants will learn how to make lifestyle changes such as eating healthier by increasing their vegetable and fruit consumption, choosing foods lower in fat and reducing sodium intake, being more physically active every day, and reducing stress. If you have heart disease, have had a stroke, have another chronic condition that may put you at higher risk for heart disease or stroke or want to adopt a healthier lifestyle, consider registering for the next Improving Health: My Way workshop in a community near you. You can become a participant and begin to manage your own chronic condition, go on to live a healthier life and prevent future chronic conditions. To register or find out more information about upcoming workshops, contact the Regional Chronic Disease Self-Management Coordinator at (709) 637-5000 extension 6689 or email selfmanagement@westernhealth.nl.ca. More information about chronic disease and the Improving Health: My Way program can be found at www.westernhealth.nl.ca/healthmyway. Living a tobacco-free life means living a healthier life, and sometimes that can be a hard thing to do. The Newfoundland and Labrador Smokers’ Helpline is a free, confidential counselling service available to individuals who want to quit smoking and stay smoke free. The Smokers’ Helpline services are available for anyone in Newfoundland and Labrador. Trained counsellors have helped thousands of people quit smoking by offering them the support they need to succeed. Please visit the Smoker’s Helpline website for more information or call 1-800-363-5864. 811 Healthline nurses can provide information about health services in your area, and answer questions you may have about health-related topics. The HealthLine can help you decide what steps to take to manage your physical and mental health, and the health of your family. Call 811 at any time, day or night, to speak to a registered nurse. For more information visit www.yourhealthline.ca.